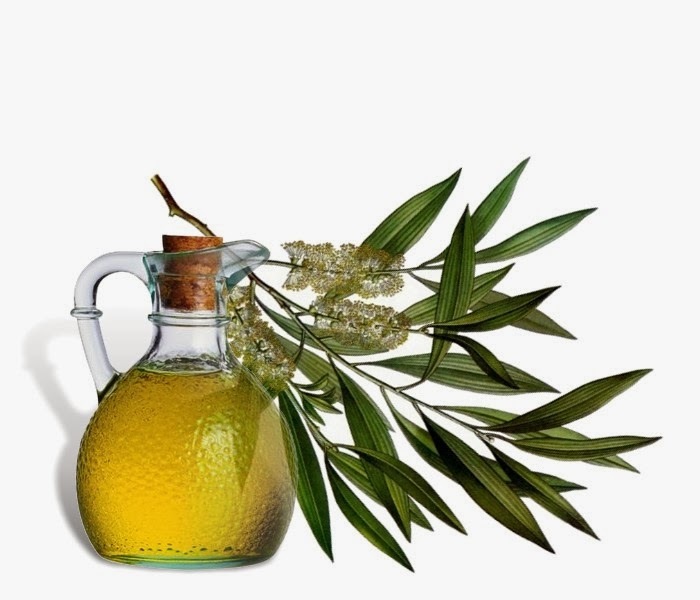 Tea tree oil is derived from the leaves of the tea tree. The tea tree was named by eighteenth century sailors, who made tea that smelled like nutmeg from the leaves of the tree growing on the swampy southeast Australian coast. Do not confuse the tea tree with the unrelated common tea plant that is used to make black and green teas.Tea tree oil is applied to the skin (used topically) for infections such as acne, fungal infections of the nail (onychomycosis), lice, scabies, athlete’s foot (tinea pedis), and ringworm. It is also used topically as a local antiseptic for cuts and abrasions, for burns, insect bites and stings, boils, vaginal infections, recurrent herpes labialis, toothache, infections of the mouth and nose, sore throat, and for ear infections such as otitis media and otitis externa.Some people add it to bath water to treat cough, bronchial congestion, and pulmonary inflammation. Tea tree oil is often used externally as an antibacterial or antifungal treatment. Tea tree oil is used for a number of conditions including acne, athlete’s foot, nail fungus, wounds, and infections. Proponents believe tea tree oil is an antiseptic and use it to fight germs. It has been used to treat cuts, minor burns, athlete's foot, and insect bites. Some claim it can treat bacterial and fungal skin infections, wound infections, gum infections, acne, head lice, eczema, vaginal yeast infections, colds, pneumonia, and other respiratory illnesses. Although no one claims tea tree oil can prevent or treat cancer, some proponents claim the oil can boost the immune system. Some herbalists claim that tea tree oil can be used as a "lymphatic recharge" for a "sluggish" lymphatic system. Available scientific evidence does not support these claims. Household cleaners that contain tea tree oil have also been promoted as alternatives to products that contain cancer-causing chemicals, such as formaldehyde.